Maps of a future United States paint a dire picture of climate change. Copyright ©2016, Environmental Law Institute®, Washington D.C. www.eli.org. 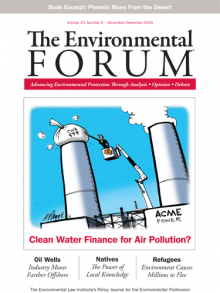 Reprinted by permission from The Environmental Forum®, November/December.